« Update from Samos … Irish in Gaza team. We don’t see much mainstream media,mostly due to lack of hours in the day so I may be contradicting them here ( not something I am apologising for) but let me tell you from the front line … the numbers arriving have neither stopped or reduced, in fact just the opposite! 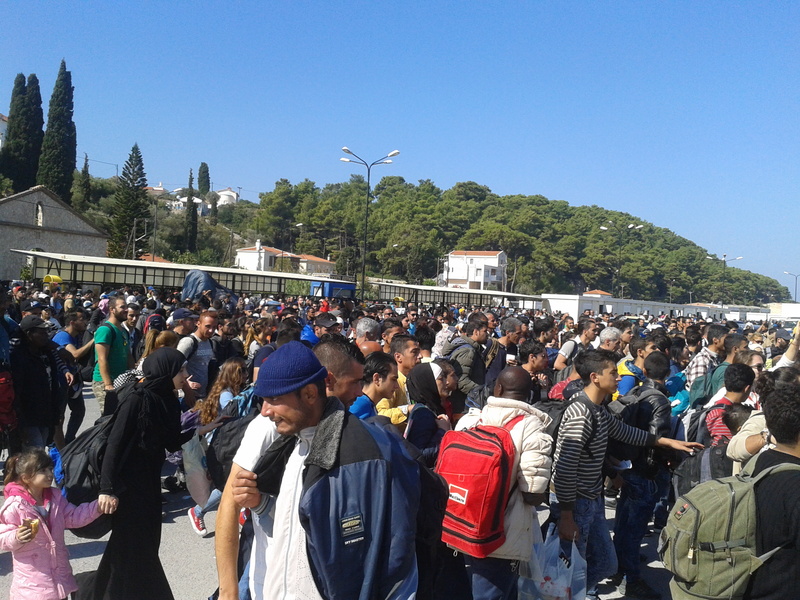 This week alone we have had thousands on Samos Port. The numbers on the small iinflatable dinghy’s are increasing and the recklessness and abandonment with which the smugglers dice with peoples lives show no signs of humanity. The children arriving on the boats now wear blow up life jackets, the ones our children wear under supervision in a paddling pool . Their lives will not be saved by them! 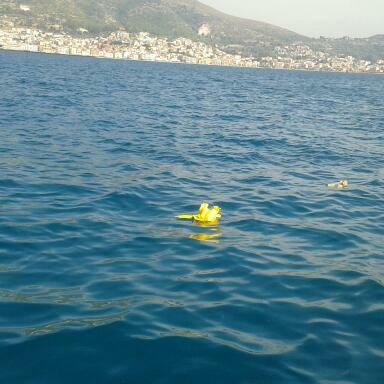 4 young souls (children)drowned at Sea on Tuesday. 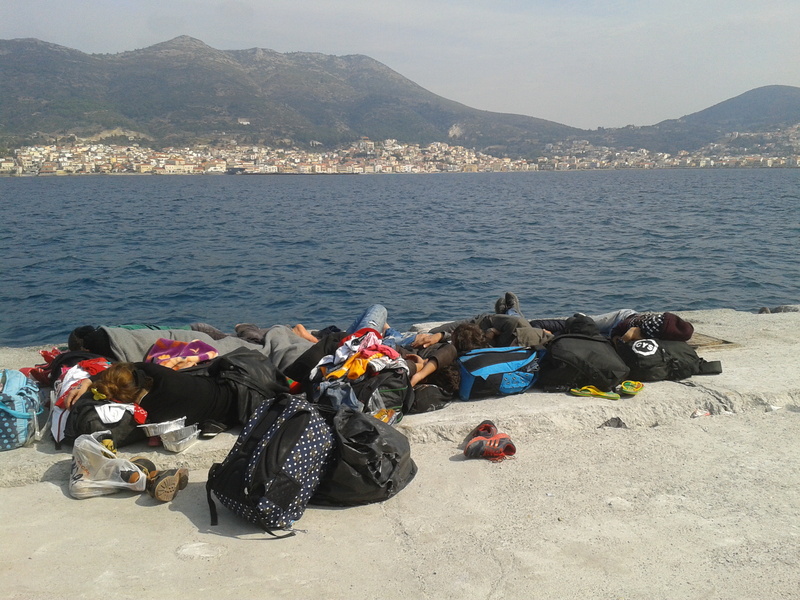 2 young expectant women miscarried their babies not long after reaching Samos. Derek takes people to the hospital several times each night as the red cross work “office hours only” 8 – 4 …..
Due to the large numbers arriving, the situation on the port is becoming a serious cause for concern. The toilets, one for men and one for women are in a substandard state and are now also a health risk. We have mentioned this on a daily basis to the UN but still nothing has changed. The large numbers also mean we do not have nearly enough blankets or mats for those sleeping outside and the nights are cold now.We bring whatever we can each night …. We stay each night until the early hours.. There is no way of knowing when the next emergency arises. Saturday night, just after midnight, the 3 volunteers that were still on the port, Derek, Mette and myself were getting ready to leave. We were taking the last few blankets around the camp to cover whoever we could when the coast guard arrived. It quickly became apparent that the 49 on board were in a bad way. They had been in the sea for twelve hours and hypothermia was a major concern.The faces of the coast gaurd and port police were ashen as they handed over a two month old baby, wet soiled and shaking.After wrapping as many as we could in tin foil emergency blankets and the rest in towels etc, We got the babies dry , changed , dressed and fed…. next the women dried and changed and finally the men. Emergency world food programme biscuits and bottles of water handed to everyone and finally by 2.30 everybody was at least safe for now…although we had only blankets left for the babies and children so a long cold night still waited many. We, as always, need and appreciate your help. Derek and Jenny …. please share to reach as many as possible. GREAT WORK everyone on the front line there and in Kos and Lesvos. We have a few hundred in Cyprus too and many wonderful people here are also doing all they can to help, albeit in far less dire circumstances thank God.